Forget colored cupcakes and balloons in a box -- this is the most unique and awesome gender reveal I've ever witnessed! Most people who know Brandon think of one word -- TRAINS. Since his first birthday when his mom put a tiny toy train on his birthday cake, he has had a lifelong obsession with trains. 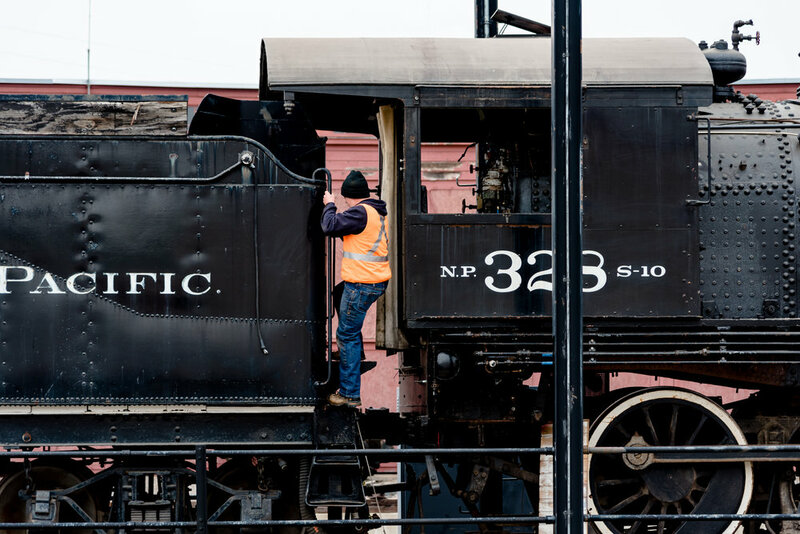 Steam trains, model trains, passenger trains, freight trains... His passion eventually led him to volunteer with the Minnesota Transportation Museum in St. Paul, MN, where he now sits on the Board of Directors. When Brandon and his wife, Kassie, found out that they were expecting a baby, Brandon knew the perfect way to share the news of the baby's gender with family and friends -- with a steam engine, of course! 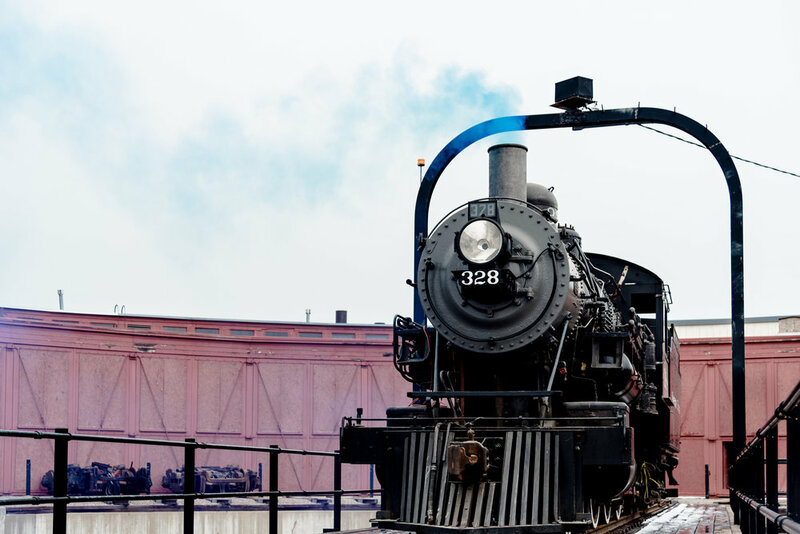 With some help from his Museum friends, Brandon and Kassie shared their excitement with a cloud of colored smoke coming from the steam engine at the Jackson Street Roundhouse. Special thanks to the Minnesota Transportation Museum (Jackson Street Roundhouse) for helping facilitate this extraordinarily unique and special reveal!